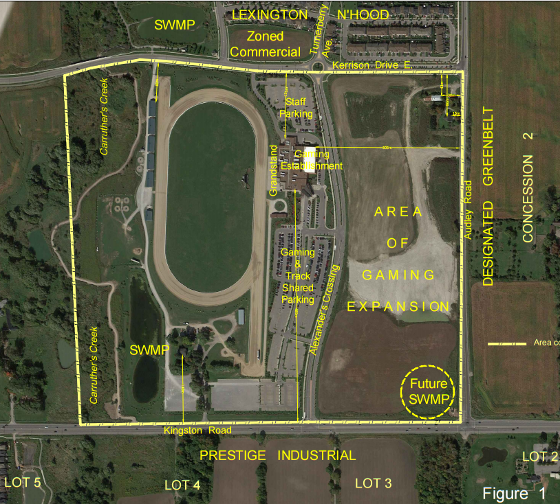 The owners of Ajax Downs have proposed a large and detailed expansion of it's existing slots facility to include table gaming and more slots. A public meeting has been announced by the Town of Ajax on November 16 at 7pm at Ajax Town Council Chambers at 65 Harwood Avenue South to discuss the proposed expansion. 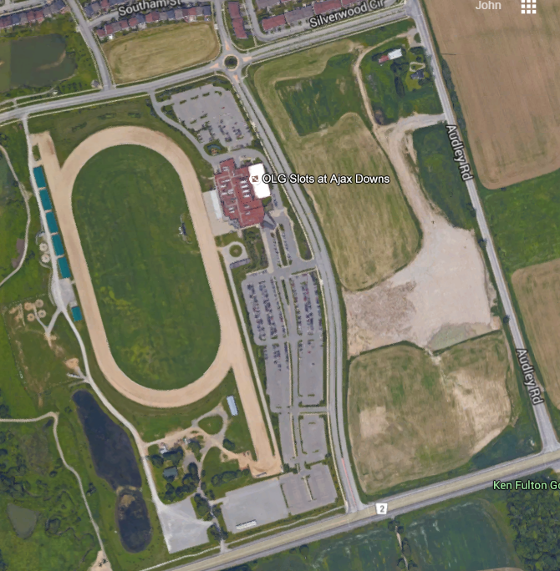 The purpose of these two amendments is to allow for the expansion of the existing Slots at Ajax Downs facility from it's existing 800 slot machines to 2500, and the addition of 1,200 casino table gaming positions (up to 200 tables). The building would change from it's existing 7,300 square metres (78,500 square feet) to add 26,000 square metres (279,800 square feet), for a total of 33,300 square metres (358,300 square feet). A four level parking garage would also be added. 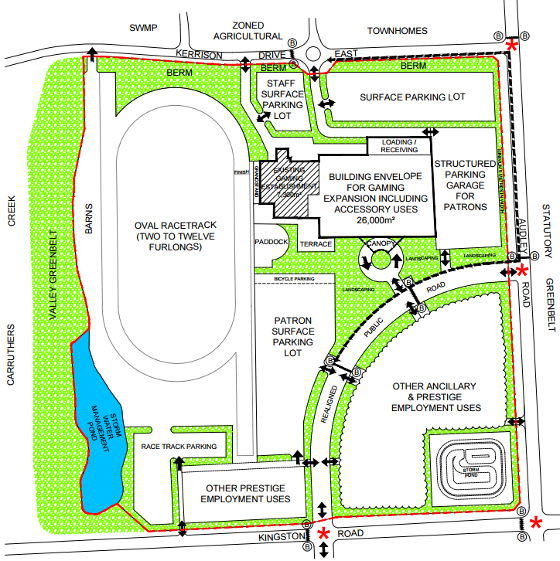 Additionally, the existing road (Alexander's Crossing) that connects the casino to Kingston Road would be realigned to run from Kingston Road to Audley Road, as shown in the site plan below, as well as from the north to the parking structure and surface parking area. How does this impact the OLG process? This proposal does not change the current OLG Modernization Plan that is currently underway. 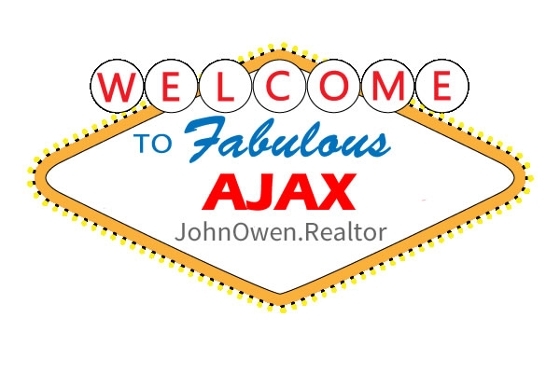 It only impacts the Town of Ajax and it's Official Plan and bylaws. The OLG still would need to consider this site along with the service provider that is ultimately selected to build and operate gaming sites in the GTA.